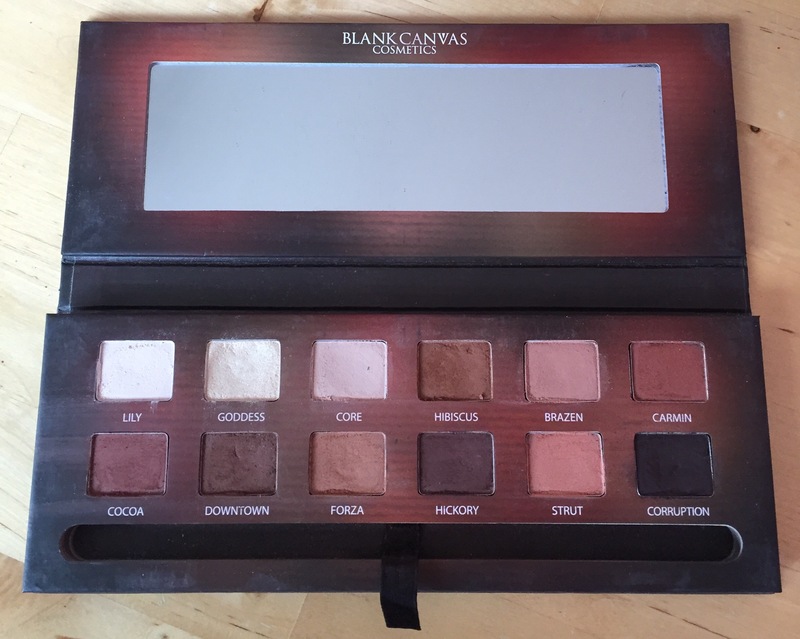 Today I am reviewing one of my all time favourite make up palettes from Blank Canvas Cosmetics The Master Series Palette One. This has quickly become a staple product in my kit for the last few months of using it and in my daily life as a make up artist. Most people ask me for a smoky look and the look requested can vary from Natural smoky to dramatic smoky and with this palette I can achieve all of the above and more. The shades are Matte except for Goddess which is Frosted(Shimmer) and this can also be used as a highlighter on cheekbones,down the nose and to accentuate your Cupid’s bow. 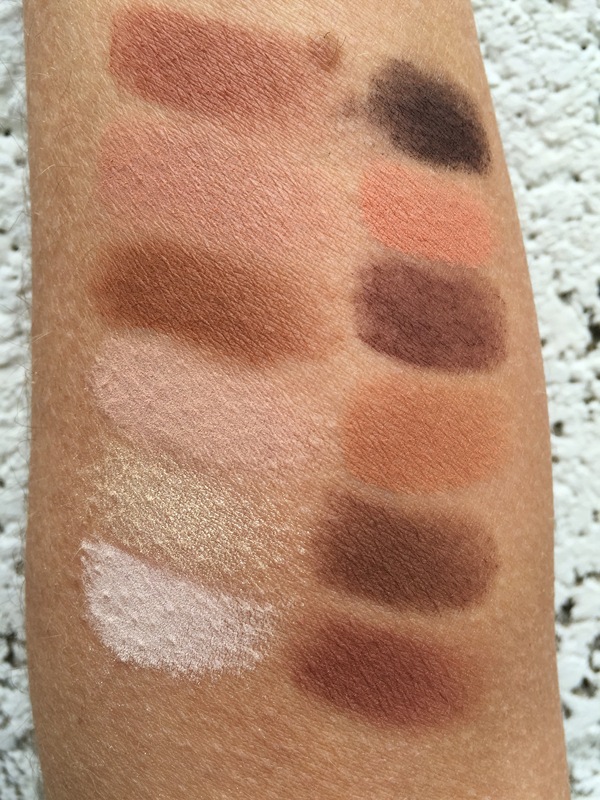 Above I have swatched the palette on my forearm to show you the pigment without the use of a primer. The colours are highly pigmented and they blend so easily. I have used this palette on every possible occasion it’s such a versatile palette with colours you will actually use and wear yourself. I can’t pick my favourite colours as I’ve used them all and they all compliment each other. If you’re like me in the mornings and are rushing to do the school run or have five minutes spare before you have to leave for work there are lots of “one colour eye look possibilities” in this palette. Today I was rushing to get my daughter Zara-Zöe and her friend Holly to art camp and so I just quickly applied the shade Hibiscus with the E40 end of the brush on my lid and smudged it under my lower lashes with the tip of the brush. I then used the E41 end of the brush to blend the colour in to my socket line and blended out the colour under my lower lashes making sure nothing looked harsh and it was like a soft wash of colour. Here’s the brush which comes with the palette and if your familiar with Blank Canvas Brushes you’ll know that the brush quality is great and this brush is no different. Overall I give this palette the thumbs up and think any girl would be delighted to get one of these and would be a perfect gift idea. *At time of publishing this blog, the Master Series Palette One is currently SOLD OUT but will be back in stock on 12th of May 2016!